The Membership Director is responsible for providing leadership to membership activities in chapters, particularly assuring that chapter membership directors have access to resources necessary to recruit at-large SHRM members to chapters, local chapter members only to SHRM, and non-affiliated HR professionals to both organizations. The Membership Director also provides leadership to member engagement/retention measurement and strategies of chapters. Provide leadership to chapter membership directors in all areas of membership responsibility. Assure that chapter membership directors have access to best available resources for member recruitment and retention to assist with: at-large members to chapters; local members only to SHRM; non-affiliated professionals to both organizations; and engagement/retention of current chapter members. Track and report to State Council statewide and chapter membership growth and other relevant membership data (e.g., demographic data on members). Track and report to State Council statewide and chapter member retention rates. Collect successful membership recruitment/retention initiatives to share with chapter membership directors. Provide a forum at State Council meetings, State Leadership Conference , via conference calls and/or through Social Media for chapter membership directors to discuss membership issues and share successful recruiting/retention practices. Serve as resource for those chapters struggling to meet minimum standards in SHRM membership to assure that chapters are not disaffiliated for not meeting requirement. Encourage uniform membership requirements for all chapters based on the SHRM model for membership qualifications. Attend State Leadership Conferences to assure representation for this critical area of responsibility. Inform the Council of at-large members who indicate an interest and have demonstrated potential for leadership positions. Assist the Council in the dissemination of information, providing timely and accurate responses to proposals, surveys, and questionnaires. Facilitate two-way communication between the Council leadership and the membership. Host a WI SHRM booth at the State Conference. Promote and communicate membership successes for our chapters. Create communication and networking plan to connect Members-at-Large to local Chapters. Debbie Fedel, CSP, PHR, SHRM-CP, is the VP of Business Development at SEEK Careers/Staffing. She oversees client satisfaction at SEEK and is a member of the President’s Advisory Team. She earned her Professional Human Resources (PHR) certificate in 1997, her CSP (Certified Staffing Professional) in 1993 and her Society of Human Resources Certified Professional (SHRM-CP) in 2015. 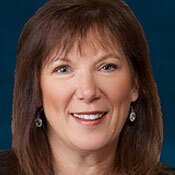 Debbie is very active in the Wisconsin Society of Human Resources Managers (SHRM). She currently serves on the WI-SHRM Leadership Committee. In the past she has chaired this committee as the Leadership Director for 3 years and has also served on the State Conference committee. She has had past positions as the President of the Sheboygan Area Chapter and she was on the board for the Milwaukee Metro Chapter, where she chaired the Certification Committee. Debbie has also served and chaired the Membership, Program and Professional Development committees for local chapters.